In the few short years since Spinelli Kilcollin designers, Yves Spinelli and Dwyer Kilcollin, launched their Galaxy rings they have gone from jewelry outsiders to creators of a modern essential. Gwyneth Paltrow and Emily Ratajkowski are just a couple of their legions of famous fans. One of the most astonishing parts of the design duos trajectory is their ability to spin the original concept into infinity variations, all equally stunning. Just one look at the options on the Gift Guide assembled by Yves and it is easy to understand why people collect multiple Galaxy jewels. We designed the Orion in 2009 for our very first collection. It remains one of our best sellers, and one of my favorites. I still love incorporating the accent rings into our work. 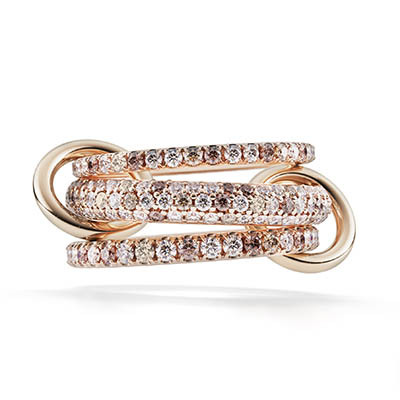 The mix of cognac, champagne and white diamonds in the Nova Rose was created for our first diamond ring. 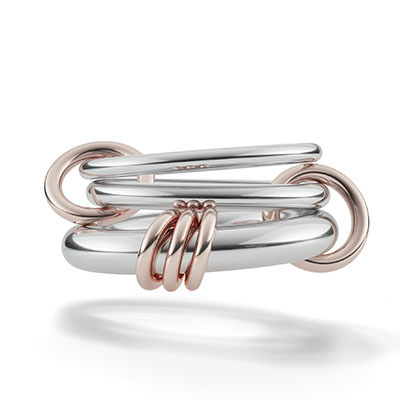 I love the warm, tonal quality of gems in the setting and the rose gold. I’ve always loved big hoops. Maybe it’s because I grew up in the 80s! 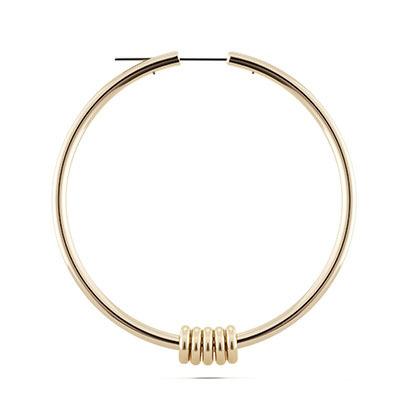 Our accent rings make their appearance on the Pegasus hoops and add a nice dimension to a classic shape. 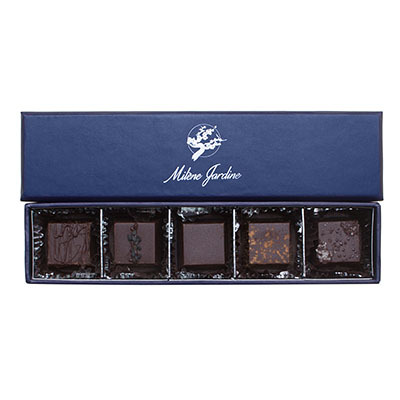 Milene chocolates are artisanal and hand-made—amazing and unique. Milene has a great story, and we’ve recently made customized Spinelli Kilcollin order! Our dear friend Pamela Love has created her own candles with Joya, We burned this one non-stop through Thanksgiving weekend. 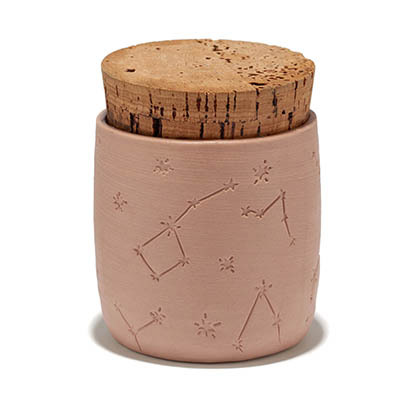 The fragrance was very calming, and I love the star constellation porcelain container. It’s going to be my new pen-holder soon!